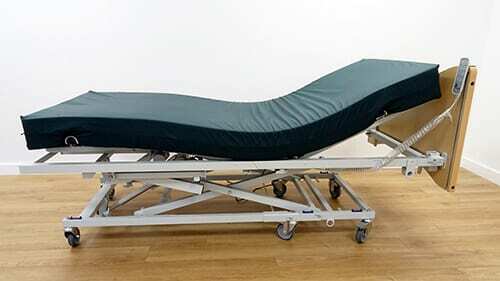 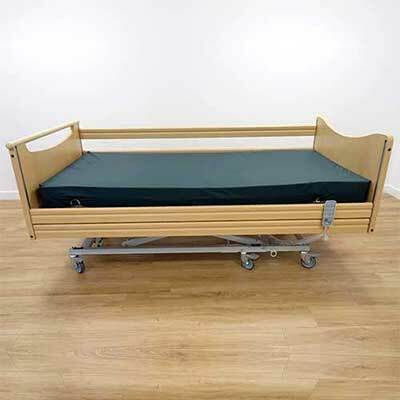 Considering the purchase of a Standard Homecare Bed Hire? 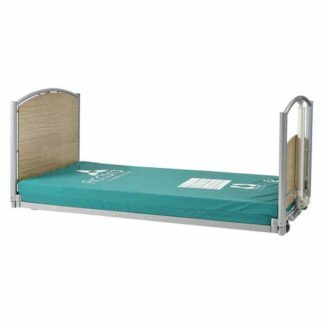 Hire a Standard Homecare Bed Hire from us for as long as you require giving you the peace of mind that this is going to fulfil your needs. 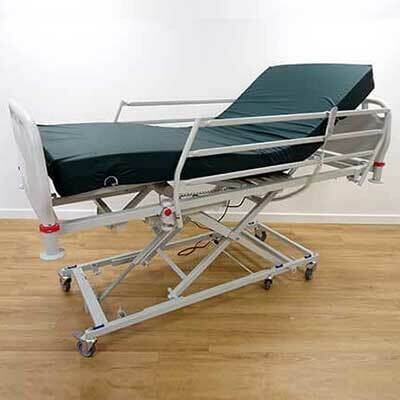 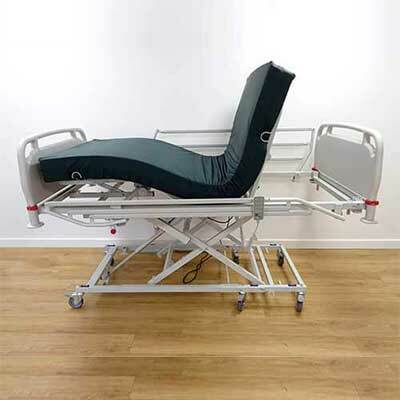 If after you have tried the hospital bed you would like to purchase one then we will allow you up to 1 weeks of the hire discounted against the purchase. 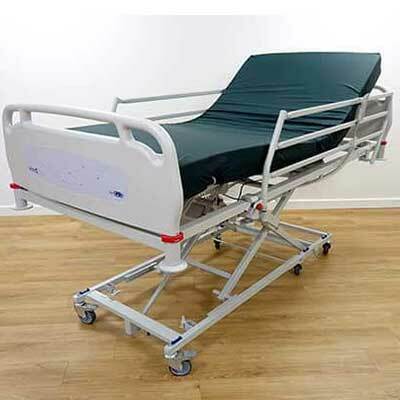 Plus if you wish to purchase the hospital bed we have delivered to you on hire then you will also benefit from a further 20% fleet discount off of the retail price. 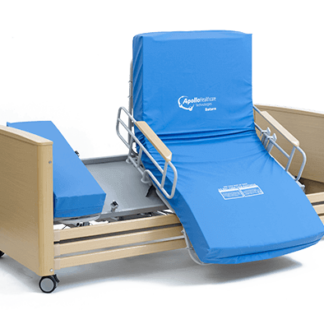 Our standard homecare bed is an electrically operated fully profiling bed complete with separately operated adjustable back rest, leg rest and knee lift functions. 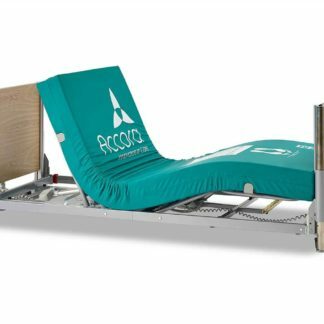 These powered functions allow carer or user to position themselves in the bed with ease ensuring a comfortable position is found. 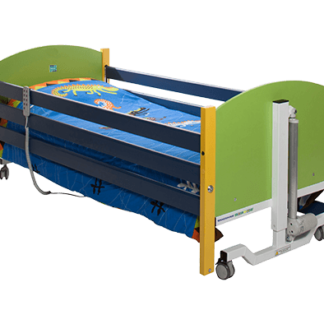 Height adjustable profiling bed developed to meet the requirements of carers attending the user. 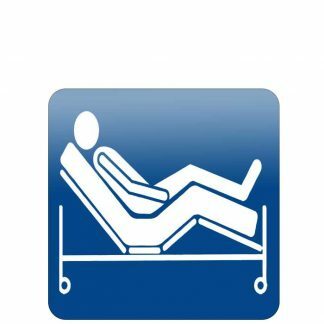 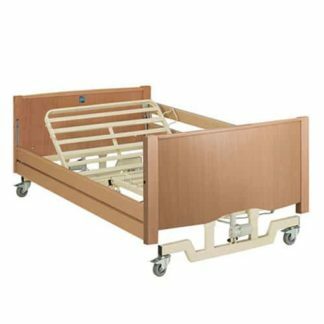 These homecare hospital beds have been developed to meet the needs of the user and carer in a number of different environments. 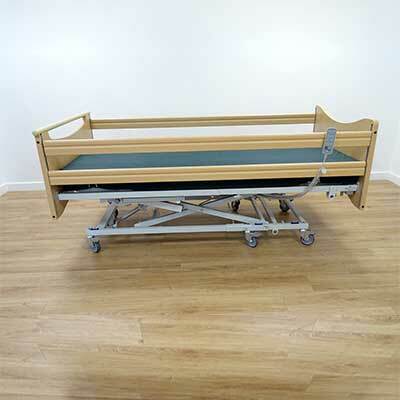 The height adjustable function on this bed enables carers and nurses to attend to the user without bending and straining reducing the risk of back injuries. 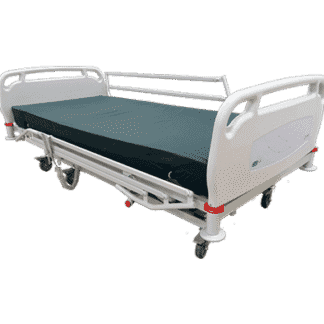 Whether you are looking for something to use in the comfort of your own home, in a hospital setting or nursing care home application this profiling bed is the ideal rental solution. 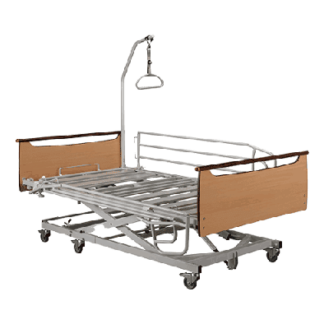 Our standard rental homecare bed comes fitted with metal side rails and easy clean, anti-microbial plastic head and footboards. 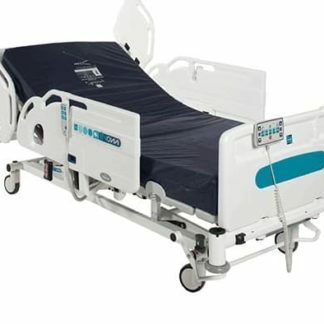 These head and footboards are easily removable from the bed allowing full operation of the bed giving the user unobstructed views of a TV or to interact socially with other people in the room. 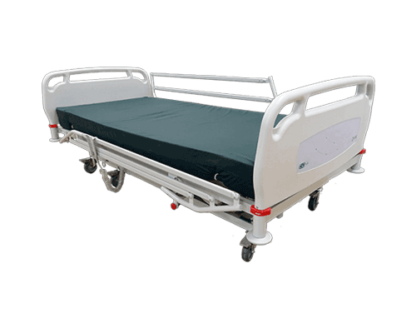 If you are wanting to purchase this bed then there is also the option to have wooden side rails and wooden head and footboards if preferred.